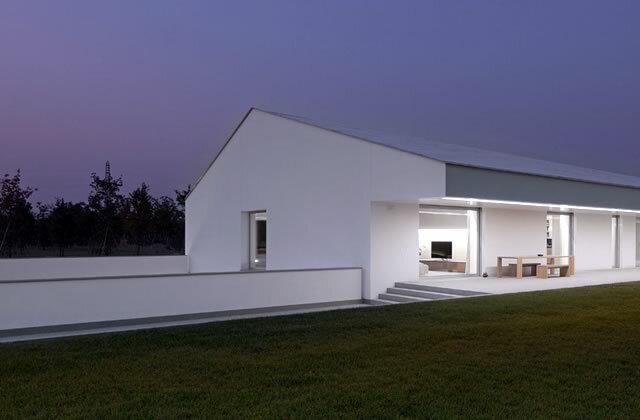 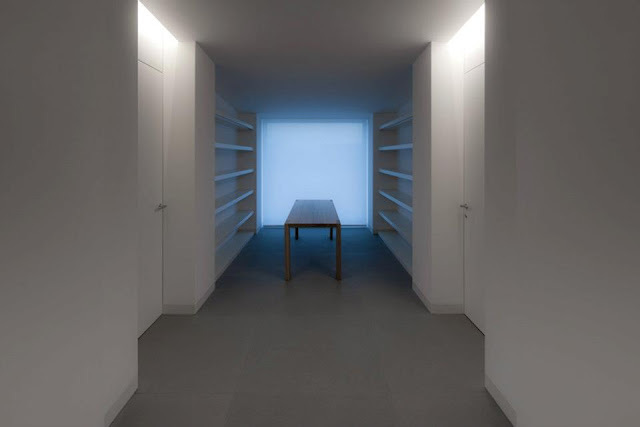 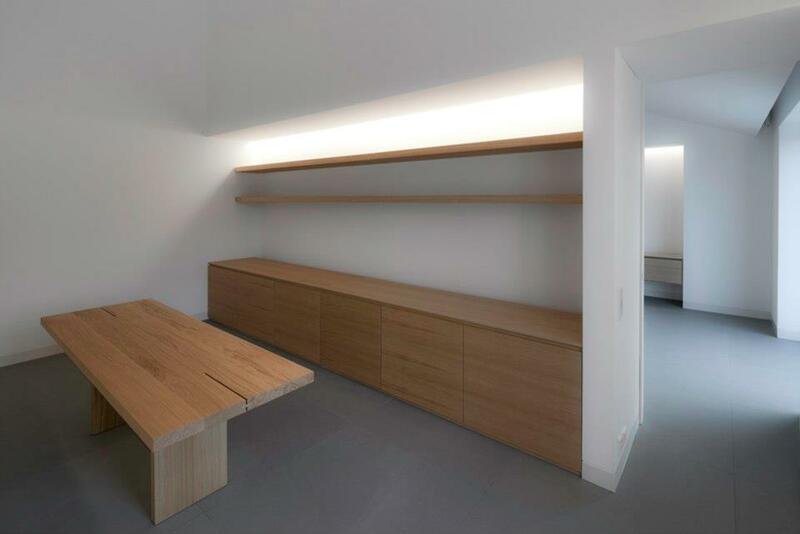 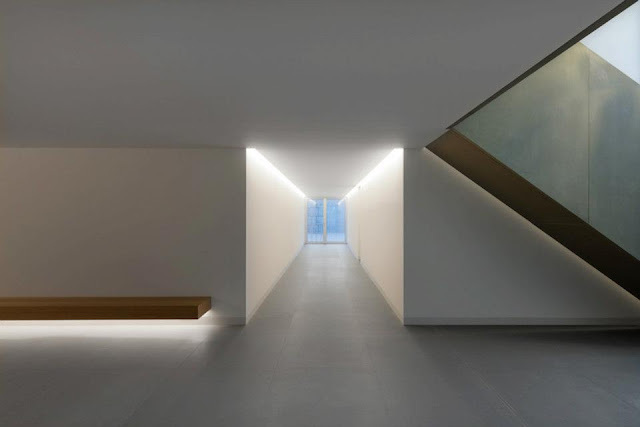 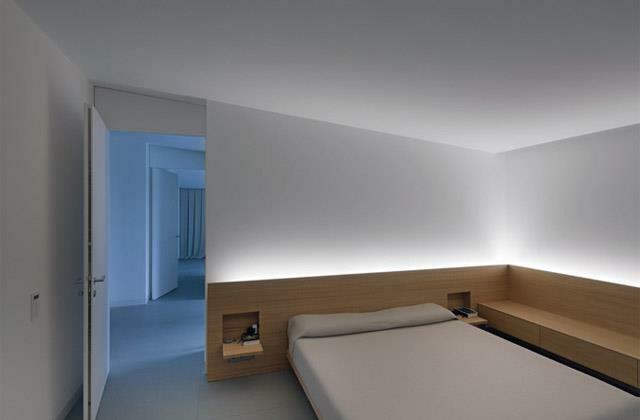 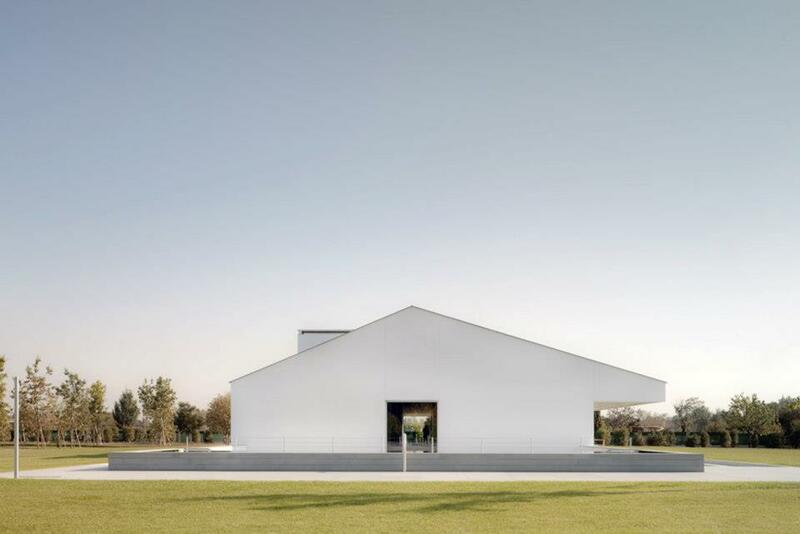 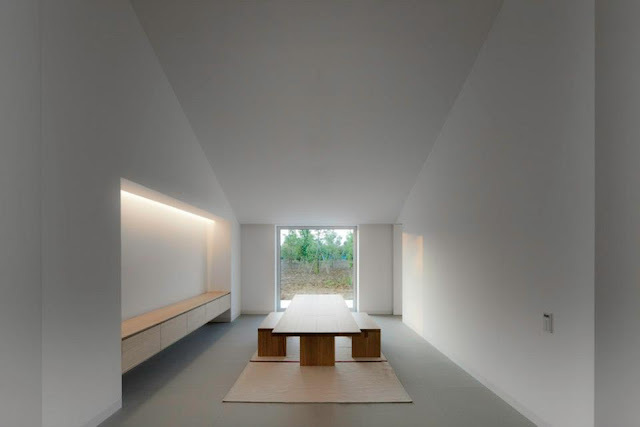 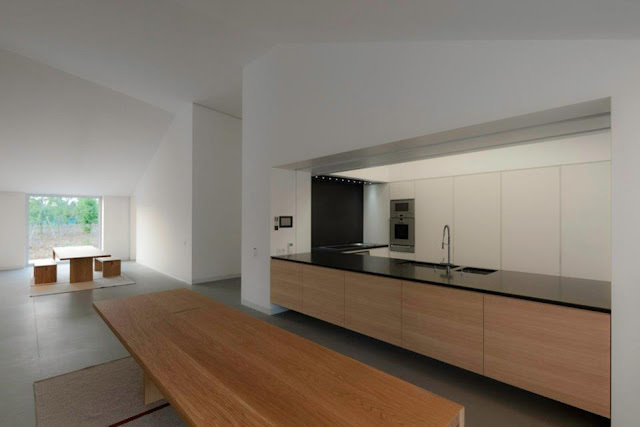 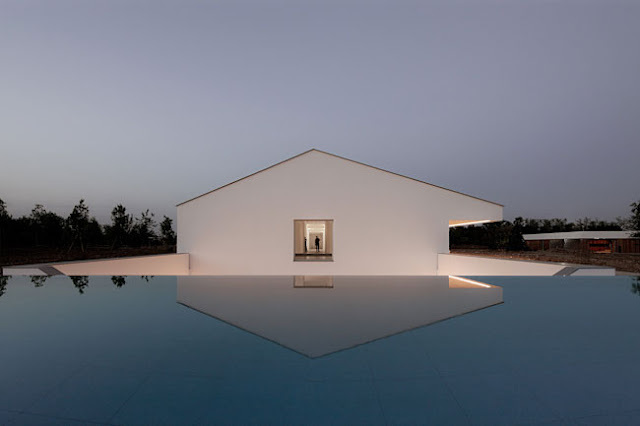 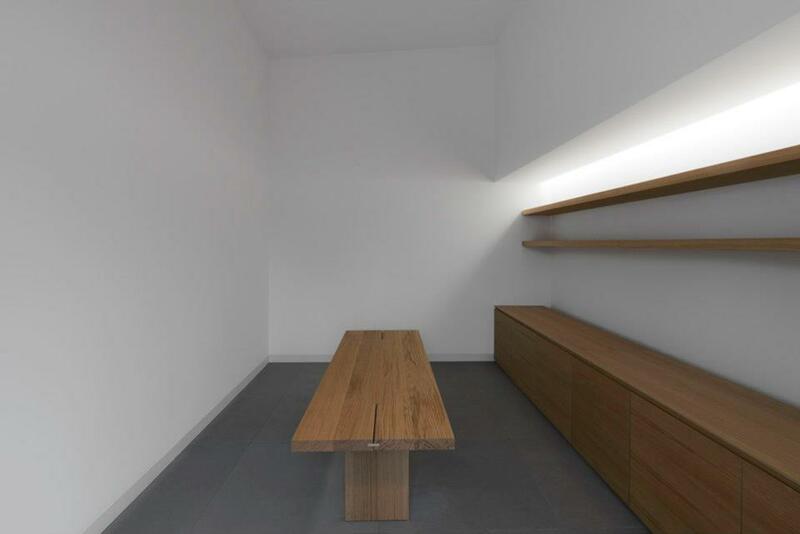 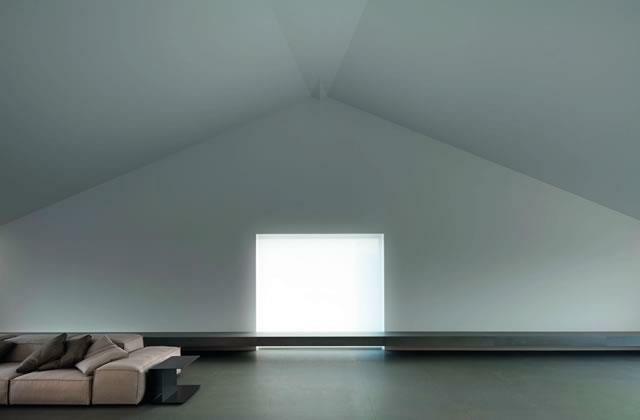 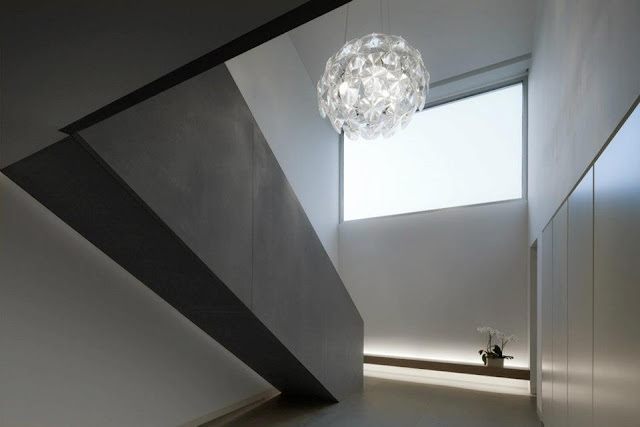 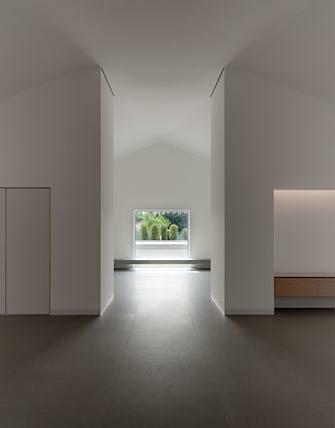 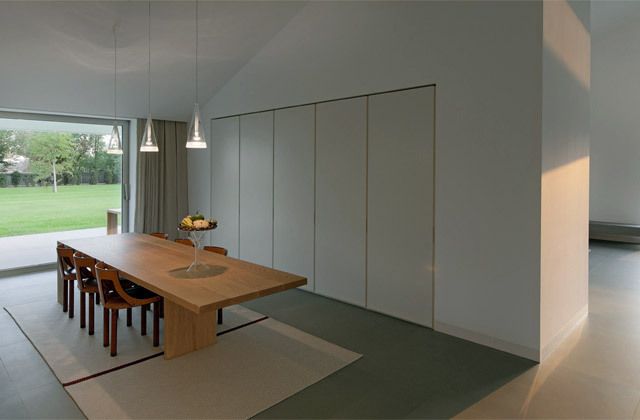 Casa delle Bottere is one of the latest completed houses designed by british architect John Pawson, in the Veneto region of Northern Italy (countryside around Treviso). 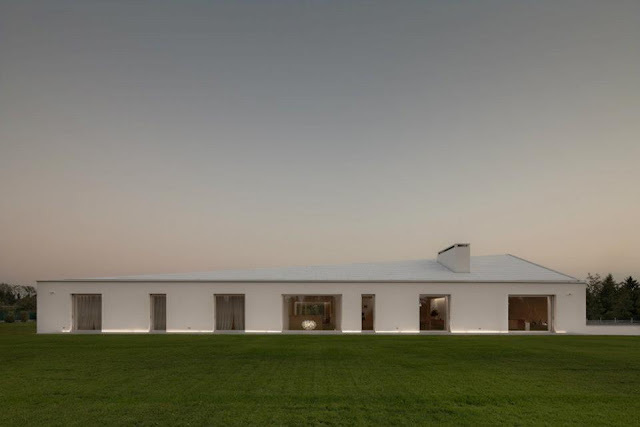 The design follows Palladio’s and Carlo Scarpa’s tradition incorporating an almost symmetrical plan based on a central axis, interrupted by a number of cross views that divide different living areas. 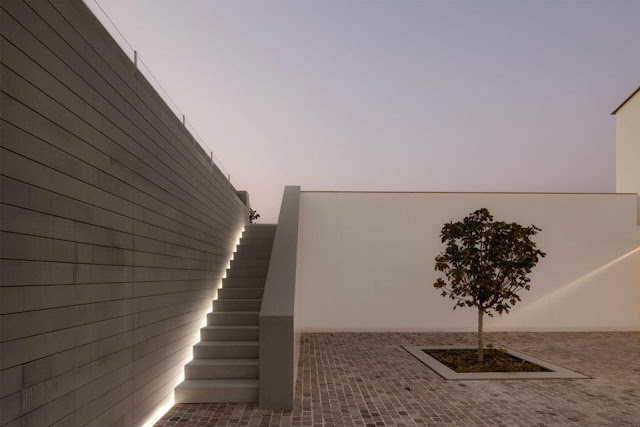 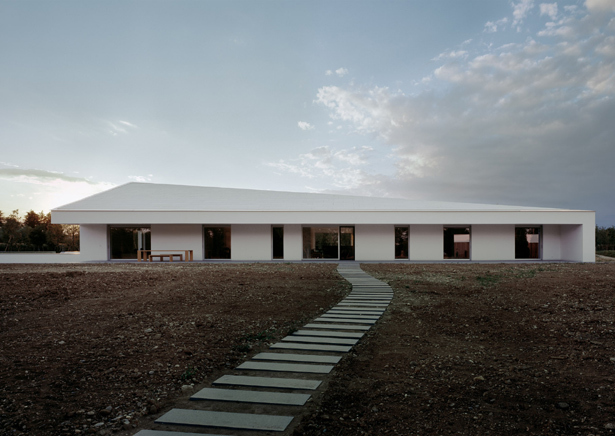 The minimalist building extends mainly on a single level with a sunken basement below, under a white concrete pitched roof. 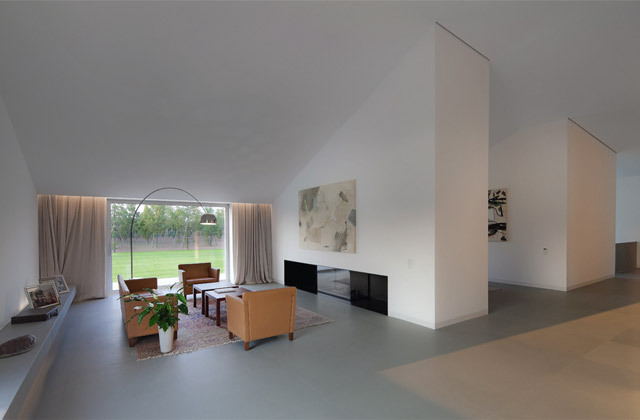 The house features a hidden, complex engineering system that uses renewable energy sources, consisting of centrally located shafts, photovoltaic panels on the roof of a secondary building and geothermal wells. 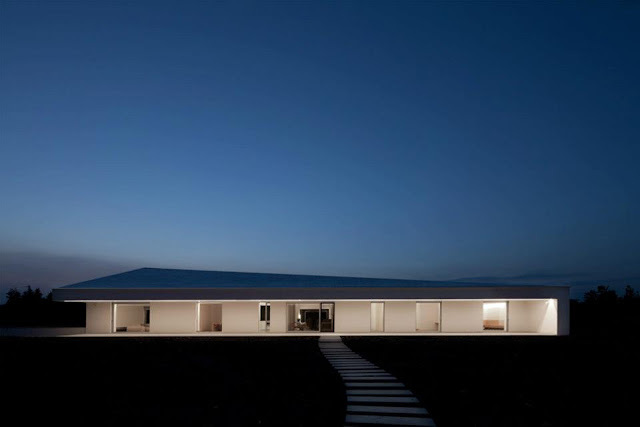 The house was awarded the CasaClima Oro certification (namely “zero-consumption house”). 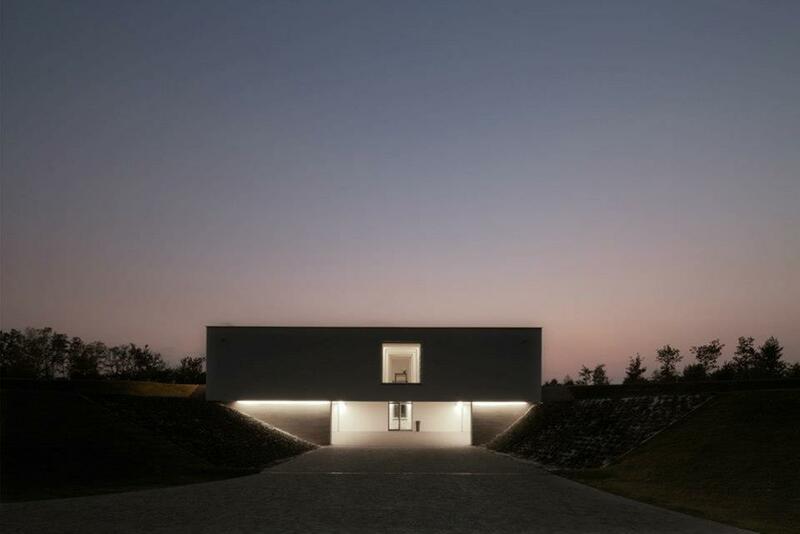 The dart-like volume of this family home in the Veneto region of northern Italy is set within a deep excavation, creating a single storey above ground and a basement level, with a sunken courtyard to the west. 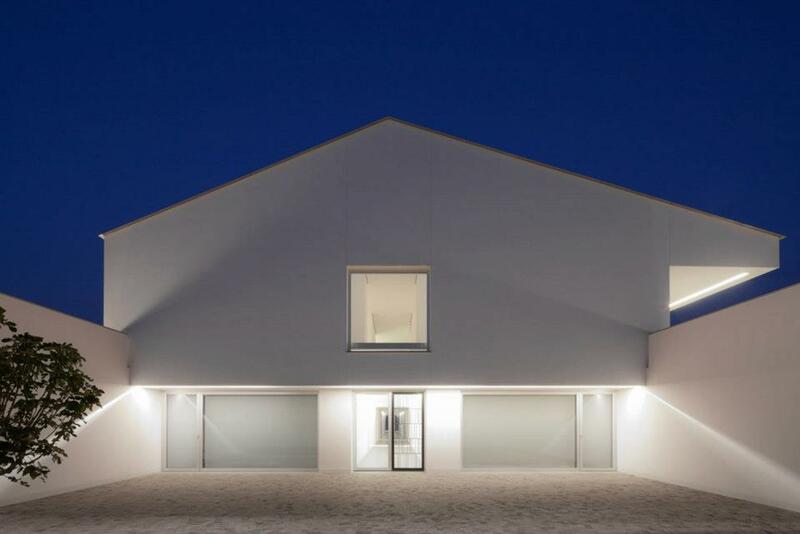 The central roof plane rises from the east elevation, its lines converging at the apex of a pitched gable on the western façade. 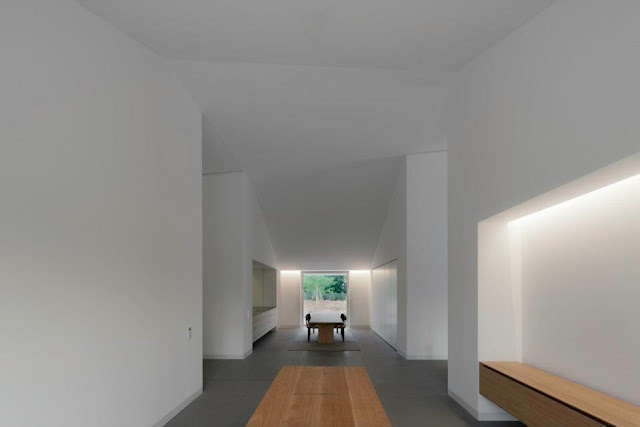 Following Palladian precedents, the design incorporates a pair of cross-views, orientated on the cardinal axes. 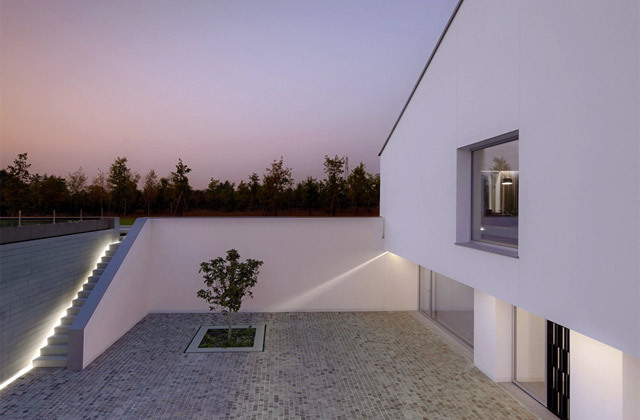 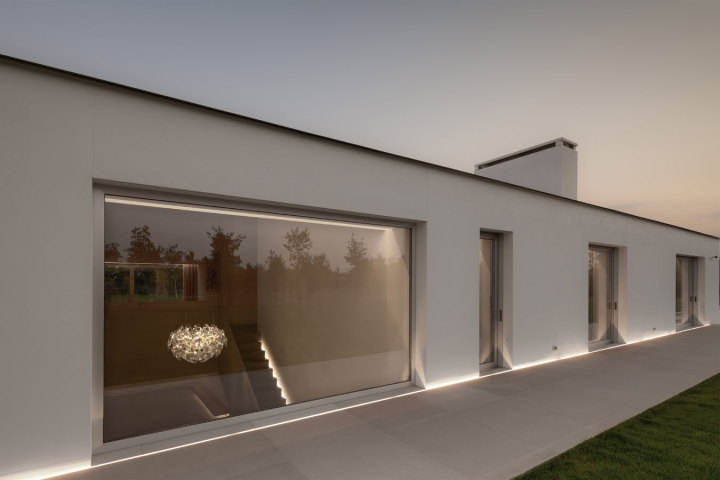 A goal of the project was to create a building with virtually zero energy requirements and Casa delle Bottere is one of only seventy houses in Italy to have been awarded gold star certification for sustainability.